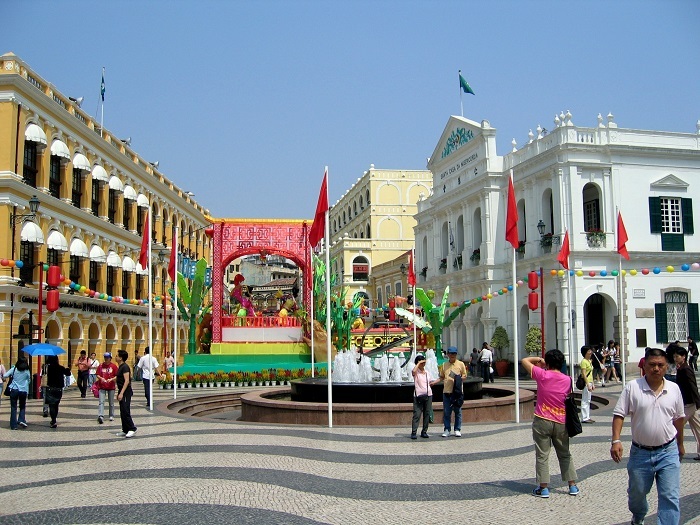 The Senado Square, also known as Senate Square, is an important paved town square on which public events are being organized, surrounded by shops and restaurants, and it is located in the Freguesia da Sé, in the central part of the Macau Peninsula, within Macao Special Administrative Region of the People’s Republic of China. 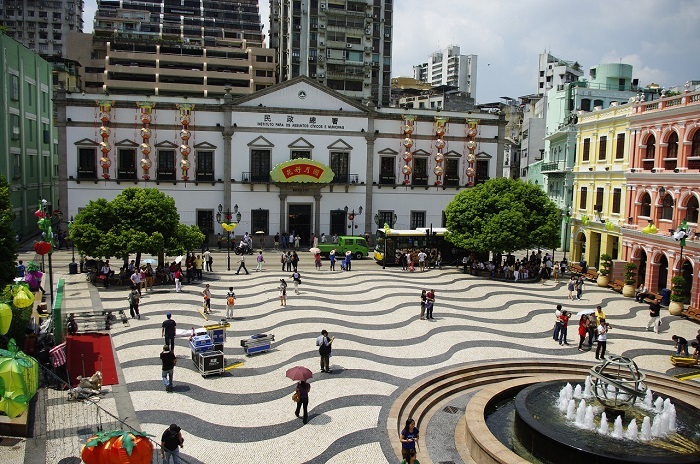 Covering an area of about 3,700 square meters (4.425 square feet), this square in the shape of triangle connects Largo do São Domingos and Avenida de Almeida Ribeiro, offering great historic buildings that can be seen on each side. 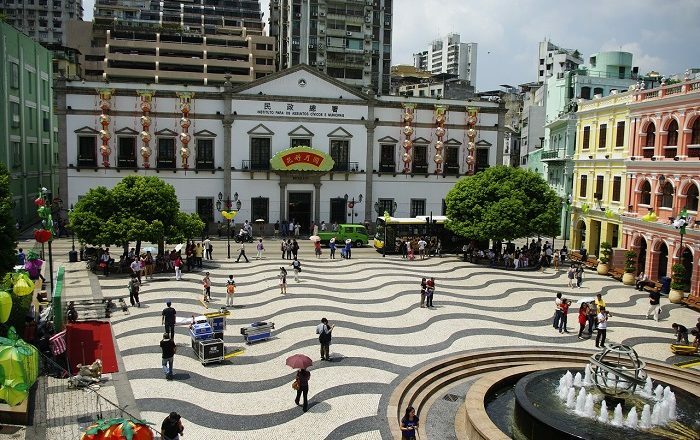 Bearing the name since the Ming Dynasty, the square was named after the Leal Senado Building which is located here where the Chinese and Portuguese met, Senado Square was also the important place during the Portuguese colonial era where the local authorities used to review the troops on their inaugurations. 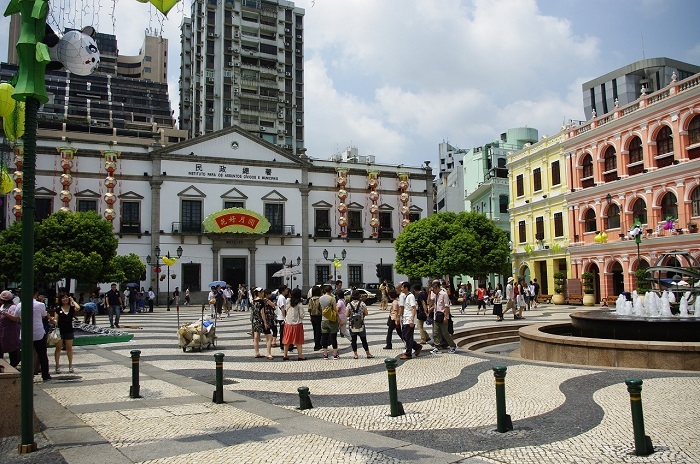 Throughout times, the square changed a bit its shape, where in 1940 there was a bronze statue of Vicente Nicolau de Mesquita, however, with the 1-2-3 Riot of 3 December 1966, it was pulled down since Mesquita was responsible for the deaths of many Qing Chinese soldiers. 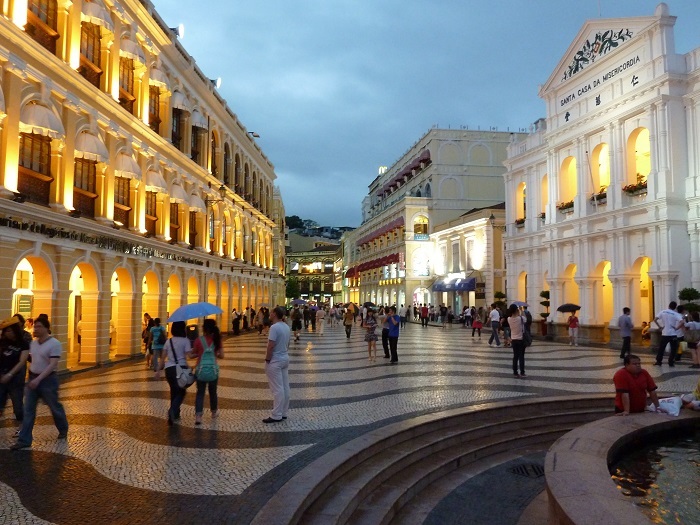 Instead, a small fountain was built, which still stands today in its location. 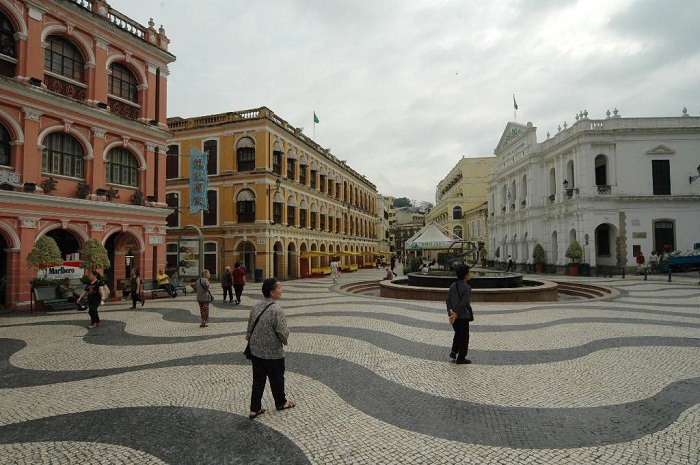 Still, the changes did not stop with that, where in 1990s the Macau authorities hired some Portuguese experts to pave the square in an interesting mosaic of waves. 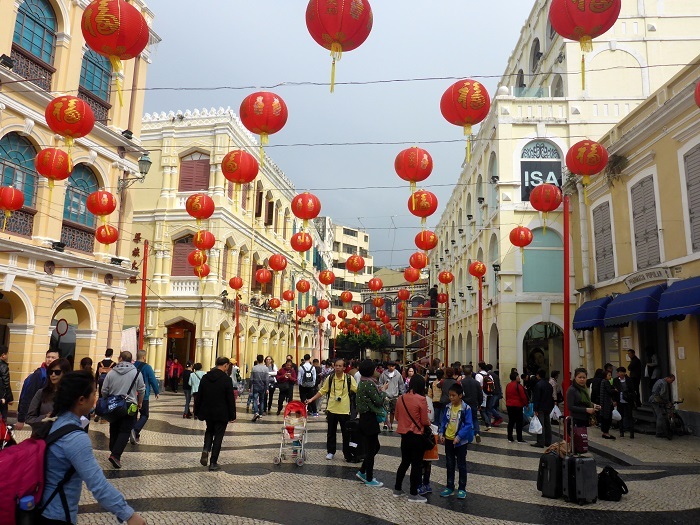 The colored wave stones give the impression that the long history of the autonomous territory has been fluctuating, while the European and other, different styled buildings make people feel like they are in Portugal. 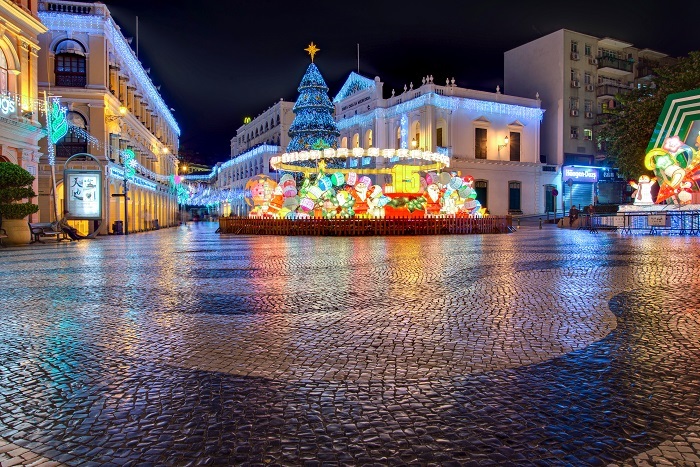 Featuring many different events, like festival celebrations, flea markets and performances, Senado Square shall continue to be one of the most important focal points of the tiny territory which is visited by plenty of tourists throughout the year.